Our company’s tenet is „Sustaining before Substitution“ and represents the most cost oriented form of damage removal. Therefore the individual lifecycle can be increased and costs, time and loss of image are significantly decreased by the services of ARTUS. Our services are highly accepted by insurances and external experts. ARTUS Oberflächen Instandsetzung GmbH was founded in 2005 by Heinrich Huber and Thomas Grant and ever since has specialized in the service of special maintenance setting. *The exact locations of the service points may vary upon commission. We are happy to inform you by telephone in case of questions. Our custom made technology and materials are developed in-house and can outperform most of the available standard-materials. Since our inception we gained extensive knowledge about every kind of refurbishing materials. Our working guidelines are aligned to the newest process technologies, our custom made technology and materials are developed in house and can outperform most of the available standard-materials. Therefore we are able to refurbish almost every material and surface. Our execution of quality is beyond the state of the art and current technology. On complete coatings we do not just „paint“ the damaged surface but coat and patinate on production level while the object is still on site. No matter if paint, coatings or fillings, we are able to replicate almost every shade of color to create a perfect refurbishment, which is invisible to the eye. Our team of experts is able to repair every damaged surface consisting of numerous different materials. Despite color, finish and filling-material, almost every shade of color can be replicated and used to recreate a perfect surface. 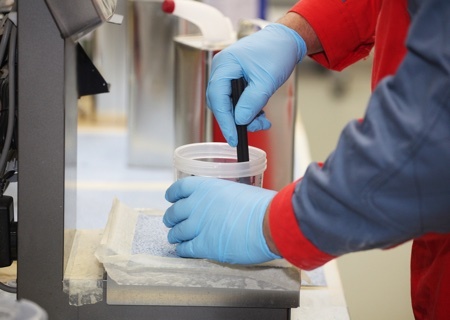 Furthermore we can perfectly adapt your system in additional areas such as application, viscosity and drying time to the requirements of an on-site coating. "THE SERVICE OF SPECIAL MAINTENANCE SETTING CAN ONLY BECOME PERFECT BY EXPERIENCE"
And many successful commissions more.